Jace finally stands up to his father but only after other things have built up all around him and he can no longer hold in his rage. In doing so, he gets kicked out. His mother barely able to give him any loving words to carry away with him, hands him an envelope which leads him to Christian. Jace Witherspoon pulls up to his brother’s apartment building in the middle of the night with a split lip and less than $5 in his pocket. He hasn’t seen his brother Christian in over five years because Christian ran away from home because he couldn’t take living with his physically abusive father anymore. Jace carries only his camera and the desire to change; to move on with his life. Christian agrees with certain conditions. Jace will do anything to steer clear of his past; including the secret that he carries. 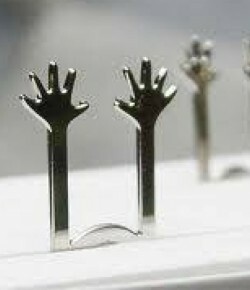 He reaches out to his mother and she promises that she will come to him. Jace is counting down the days while starting his new life. A new school, a new job, and new friends is not enough to move Jace past the darkness of his past. The abuse carries him along and he realizes that to get past what scares him the most he must face his secrets head on as well as admitting to some very real and terrifying truths. 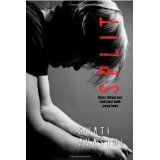 Split is a hard-knocks kind of life book that deals with the effects of physical and emotional abuse in more than one perspective. I must admit it can also be a tear jerker at certain parts if you prone to be on the emotional side. A clean, but truthful book that is geared for the older adolescents; I definitely recommend this novel. I loved how vivid the author was able to reach out and pull from the varying characters their thoughts, emotions, and personal involvement, even if from a distance with the effects of having to hold that ‘perfect family’ image on display while enduring staggering blows to the psyche.